1864 - Jesse W. Freel was born in Warren County, Iowa. 1869 - Alvada Ratliff was born. August 22, 1876 - Henrick Neils Hanson was born in San Pete County, Utah, to Neils P. and Julia Jensen Hanson, both immigrants from Denmark. 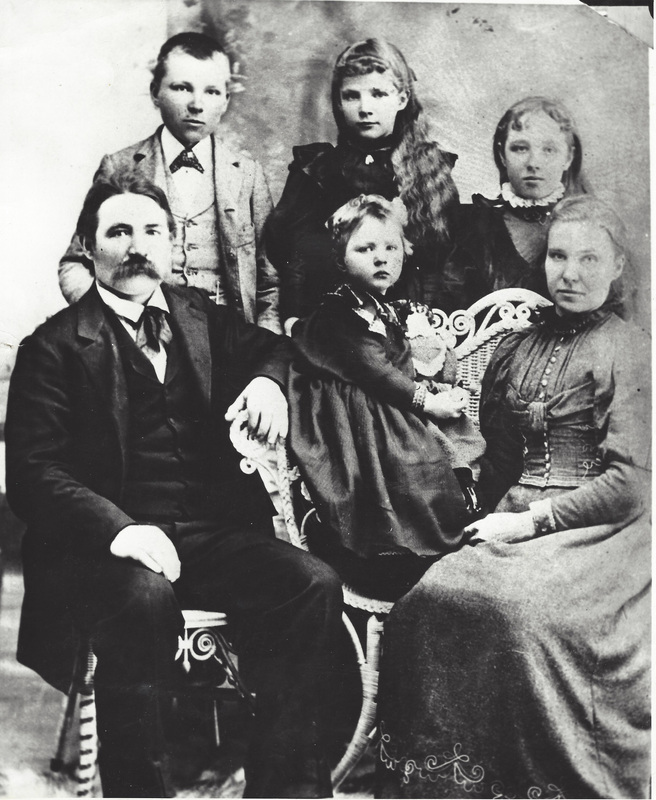 Summer of 1884 - Anna and Olaf Olson (pictured above) with their two-year-old son Fred in their arms, migrated from Sweden, arriving in central Nebraska on the train with 81 cents. They had carried Fred in their arms or on their backs continuously on the ship so they wouldn’t have to pay a passage fare for him. They homesteaded near where Gothenburg is now and built a sod house in which their five children grew up. Their fourth child was Mabel Pearl. 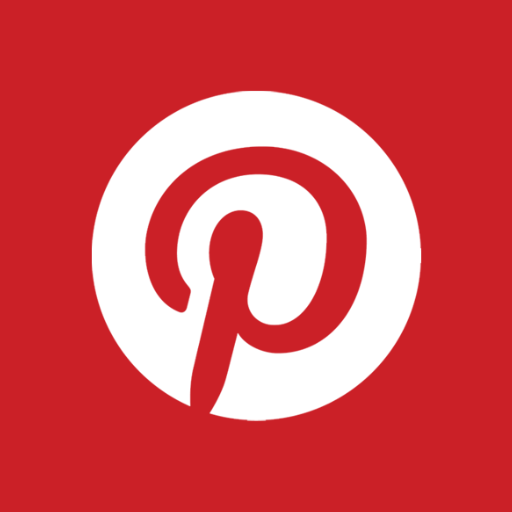 Late 1880’s - Frank Austin rode horseback with his bedroll tied to the back of his saddle from New England to central Nebraska, where he was invited to a church picnic and met a slender dark-haired girl named Myra Damon. His westward ride came to an end, they were married and started developing their place near Sargent on the Little Loup River. To this union were born three children, Hazel, Albert (who died as an infant), and Roscoe Charles. 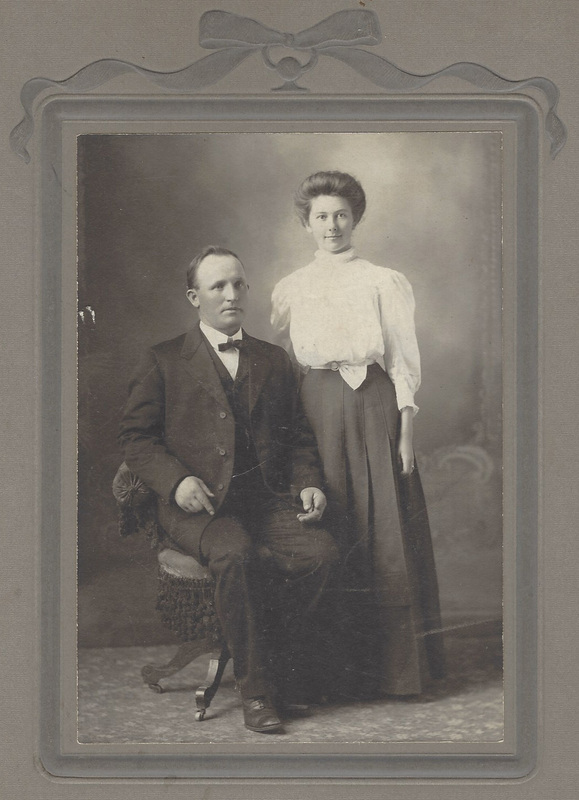 May 7, 1887 - Jesse W. Freel and Alvada Ratliff were married in Wayne County, Iowa. July 9, 1889 - Celia Roxie Freel (pictured below) was born in Corydon County, Iowa, to Jesse and Alvada Freel. 1890 - Jesse and Alvada Freel moved with their infant daughter to Weston County, Wyoming and homesteaded on Stockade Beaver Creek. September 2, 1894 - Roscoe Charles Austin was born. Only four months later, on Christmas day, his father died of pneumonia. Myra put all their belongings into a trunk and left with only a horse and buggy, as the mortgage had claimed their property. 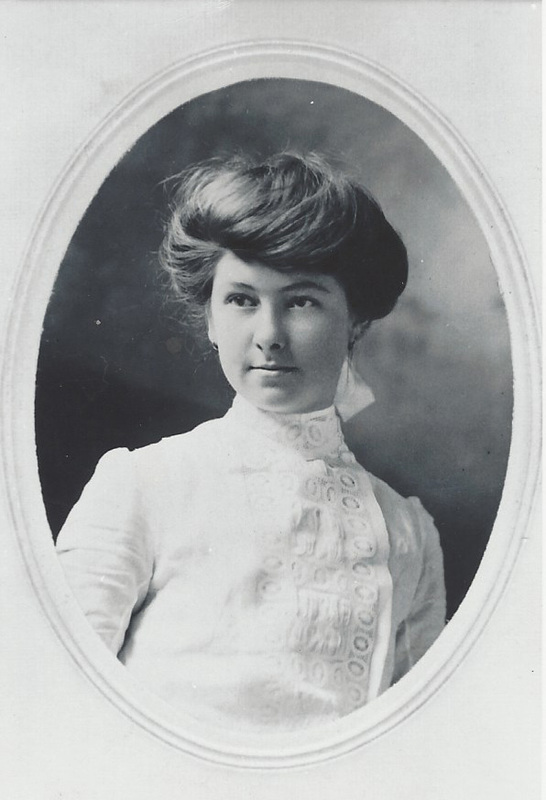 She began selling encyclopedias to folks hungry for “book learnin’,” studying them herself until she passed the State Board Exam to become a teacher and began teaching country schools. She remarried shortly before 1900 to Harry Wright. In the Wright family, “more education” was a way of life, influencing Roscoe through graduation from high school in Broken Bow. After high school, he and his sister Hazel attended Custer County College, where he met a fun-loving, blue-eyed girl named Mabel Pearl Olson. September 24, 1894 - Mabel Pearl Olson was born. Mabel, the youngest of three girls, spoke only Swedish until she started school; so she learned English correctly, knowing the meaning of the words she used. Upon graduating from the 8th grade, she became an excellent teacher in the area, though only a teen herself. She continued adding credits to her teaching certificate by attending Custer County College in the summers, where she met an athletic football and basketball player Roscoe Charles Austin. He also was a mile runner and played the cornet in the College Band. 1898 - Henrick Hanson grazed sheep in Wyoming for Green River Land and Livestock Company on pasture leased from the railroad, summering them in the Yellowstone Forest Reserve. 1905 - Henrick Hanson became Foreman for W. D. McKeon who purchased a large ranch on the Cheyenne River in eastern Wyoming. Henrick was in charge of trailing thirteen bands of sheep (3,500 to a band) across Wyoming to that ranch, thereafter summering them in the Black Hills. It was here he met Celia Roxie Freel. 1908 - Henrick Hanson homesteaded on the Cheyenne River, building the first frame house in that community, a 24-foot square home that the Hanson family lived in for over 105 years. 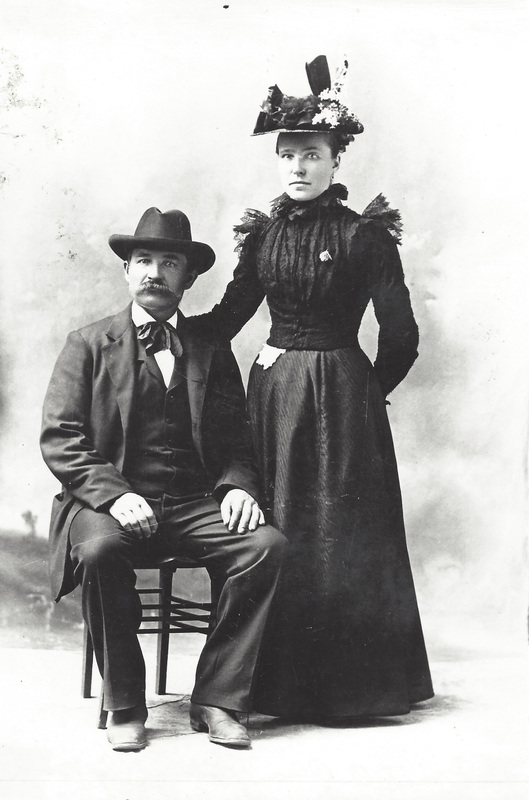 December 30, 1908 - Henrick Hanson and Roxie Freel (pictured above) married in Deadwood, South Dakota. Henrick became State Sheep Inspector for Wyoming and was instrumental in eradicating sheep scabies in the State during the early 1900’s. He later served in Wyoming’s House of Representatives during the 1937 and 1939 legislative sessions and was elected to the Wyoming State Senate in 1940. 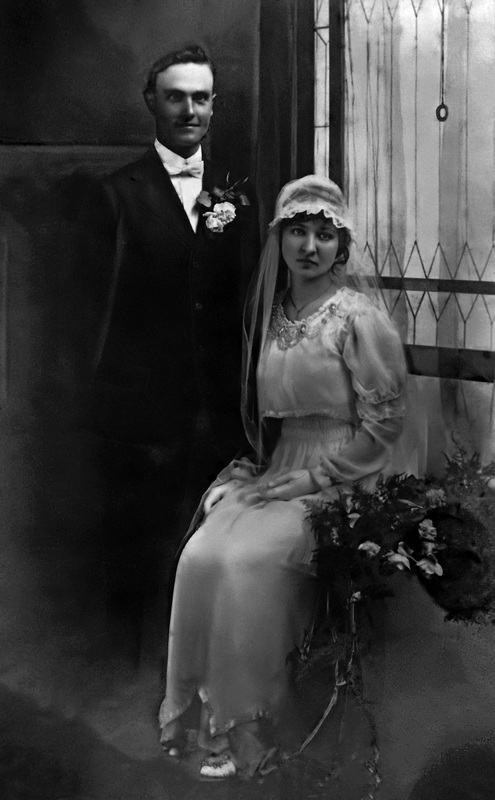 September 15, 1915 - Roscoe Austin and Mabel Olson were married (pictured above). 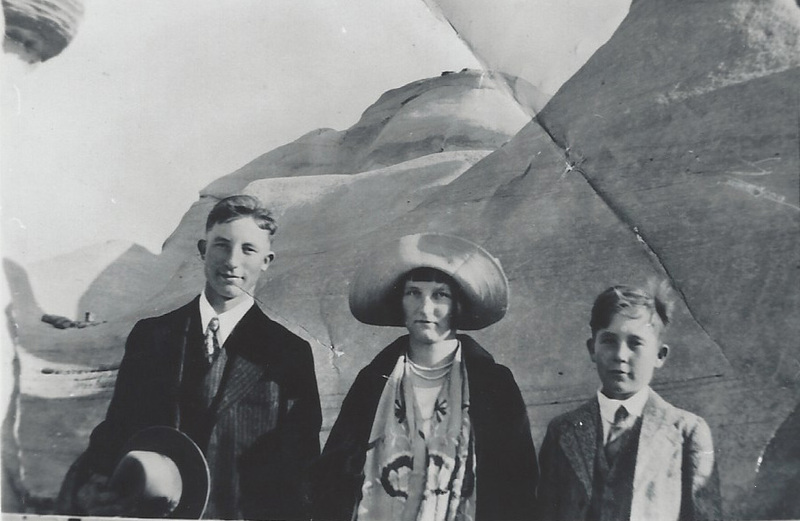 In 1918, Roscoe came to Wyoming on the train, applied for a homestead southwest of Newcastle, then brought his wife and first child, Myra Anna, to the Morrisey area in the spring of 1919. Together they literally carved a life out of the lonely prairie on a plot of ground on Robber’s Roost Creek with no house or fence post in sight in any direction. The sod house was warmer in winter and cooler in summer than a clapboard shack, but dust sifted down continuously and spiders were unexpected visitors constantly. To this union were born four additional children, the second one being Phyllis Marie. 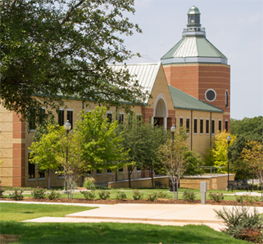 Throughout his life, Roscoe worked to build his community in various ways. He served on the local school board for 31 years and was instrumental in the 1927 building of the Morrisey School, which opened with 45 students. At his request, a pastor from Newcastle drove out on Sunday afternoons to have a church service at the schoolhouse when the weather permitted. Roscoe led the singing of the hymns, harmonizing in his bass voice with another neighbor who sang tenor … very beautiful to a roomful of homesteaders and their children. He later served as Weston County’s delegate in the Wyoming House of Representatives from 1941 to 1946, then the Wyoming State Senate from 1947 through 1954. Integrity, courage and honesty were instilled in his children and acquaintances as his heritage, along with a deep respect for God. Mabel was the keeper and teacher at home, raising the children, helping with the livestock and raising and preserving the garden produce, all the while instilling a love for and enjoyment of working hard with one’s hands. She always provided a happy mealtime for her family and a warm welcome and hearty meal to any weary traveler who came to her door. 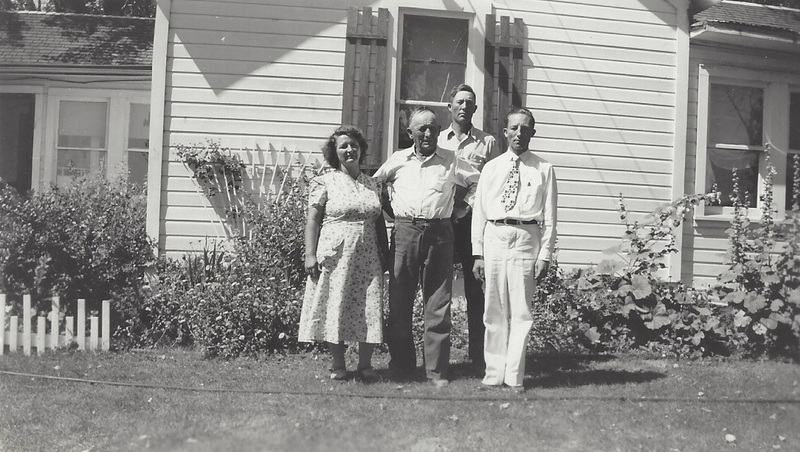 July 30, 1917 - Glenn Eric Hanson was born to Henrick and Roxie Hanson, joining his older siblings Floyd and Olive (pictured above). They walked to the Roxson School which was moved every year or two in order to accommodate the neighborhood’s children. Glenn learned to ride at a young age and became the main hand for both his Grandfather Freel as well as his dad on the ranch. He loved horses and rode many miles when there were no fences to contain the livestock. His mother was raised with knowledge from the Bible and was responsible for Glenn’s baptism at about age eight. April 19, 1921 - Roxson Post Office was established with the first rural carrier service as well as the Roxson Mercantile country store at the ranch headquarters. Henrick and Glenn hand-milked as many as 17 cows twice a day, sending the cream and butter with the mail carrier to Newcastle, some 36 miles distant, to sell. Roxie was the postmistress and the storekeeper as well as homemaker, wife and mother. 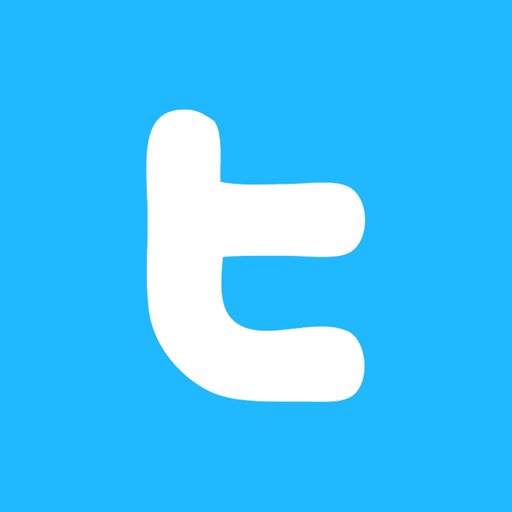 The postal department combined the first three letters of ‘Roxie’ with the last three letters of ‘Hanson,’ thus the name Roxson, Wyoming. September 24, 1922 - Phyllis Marie Austin was the second of five children born to Roscoe and Mabel Austin. The oldest, Myra, was of necessity Roscoe’s “cowboy” and many times rode to school with Phyllis riding behind her on the back of the saddle. Phyllis started school before she turned five. There were times when hungry timber wolves would follow the girls until they reached home. Phyllis was her mother’s helper, learning to bake bread, can vegetables and put on a hearty meal for family and neighbors. Her heart always went out to babies and children or anyone who didn’t have the necessities of life and she was happiest when teaching children to make biscuits or bake cookies. Like her own parents, she always quickly extended a warm welcome and a hot meal to whomever came to the door. She grew up learning what it meant to sing hymns of devotion to the Lord in their rural setting, hearing her dad lead the singing in his bass voice, joined by a neighbor’s tenor harmonizing in words of worship, which came to be a memory of much meaning to her. Throughout her life Phyllis loved to sing. 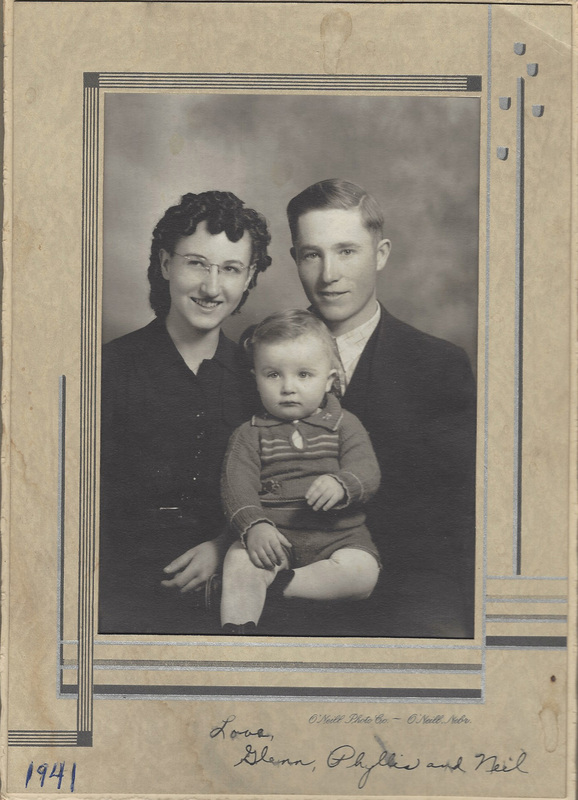 August 14, 1939 - Glenn Hanson and Phyllis Austin were married and became parents of one son, Glenn Neil (pictured above), and four daughters, Carolyn Marie, Brenda Nadine Maharba, Frances Mae and Roxie Anita. 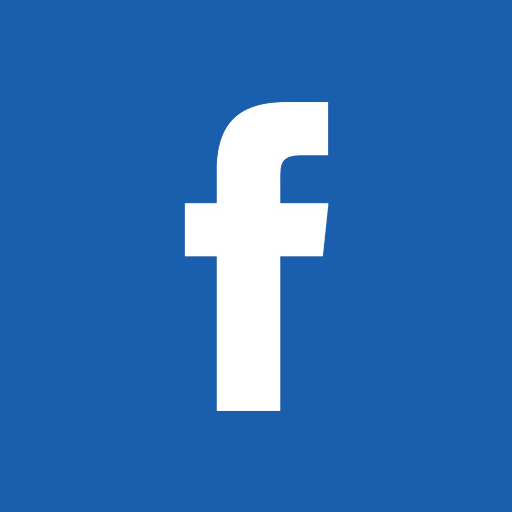 Glenn was interested in developing and modernizing the neighborhood, scoping out the best routes for county roads, serving fifteen years on the local school board, defending the right of families to have country schools close by, helping to build two permanent local school buildings and teacherages. They were Seven Mile School four miles south of Roxson and the Cheyenne River School some 25 miles east of Seven Mile. He was a 4-H Club leader for twelve years, teaching his own children along with the neighbors’ kids how to judge for quality in beef animals, how to show their animals at the County Fair and how to complete their project record books … as well as how to have fun in the process. 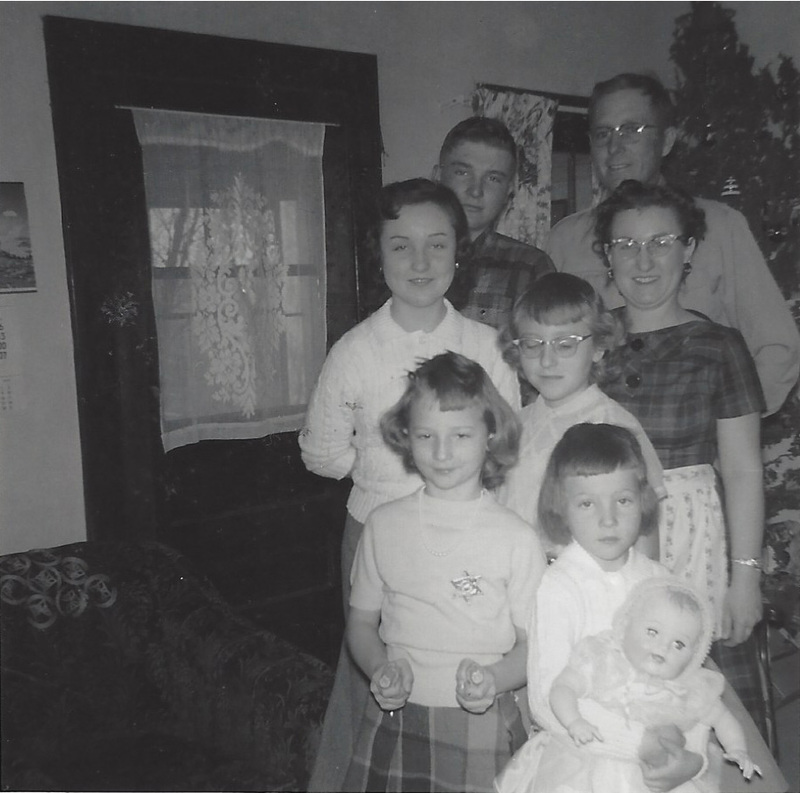 Phyllis was ever the homemaker and devoted teacher to her children and the neighbor children as a 4-H leader and as Mom, teaching sewing and cooking, gardening and preserving food. She was a very hard worker and took in stride many crises over the years, always demonstrating a calmness and an innate sense of what the next necessary action was and promptly doing it. It never occurred to her that any situation was beyond her; she simply set about getting it done! She never lost her temper with her family and would not condone temper tantrums within her home. She inspired a love of music, singing in the car during the long forty miles to the grocery store in town and teaching piano lessons to neighborhood girls. She also was an example of devotion to God, helping establish Sunday School and a week of summertime Bible School at the school house and teaching Sunday School during her eleven years in Edgemont. She hosted many ladies’ Bible studies in her ranch home for over thirty years. During their daughters’ high school years, Glenn and Phyllis lived in Edgemont, South Dakota, where they owned and operated Edgemont Livestock Auction. Glenn operated the livestock end of the business and Phyllis was the Office Manager and head bookkeeper. Each of their daughters worked in the office during their high school years. When their daughter, Roxie, finished high school, Glenn and Phyllis sold the livestock auction business and moved back to their Cheyenne River home.